There are very few paragliding resorts or clubs providing the right kind of paragliding facilities in India, despite the growing popularity of this adventure sport. Ravine hotel is a unique three star paragliding retreat that boasts of having one of the best locations for paragliding in India. What more can one want when you have breathtakingly beautiful valleys, panoramic 360 views and gentle breezes coupled with professional paragliding trainers, state of art paragliding facilities and 3 star modern day living amenities all as a neatly bundled package. 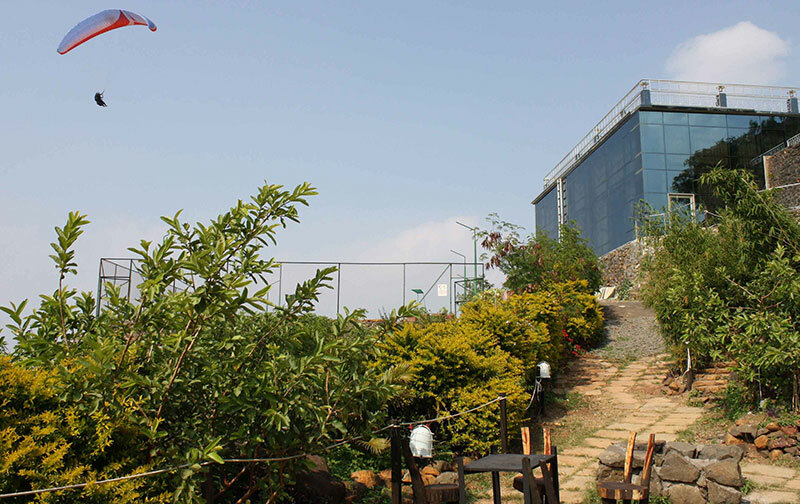 Since it is quite close to Mumbai and Pune, many adventurous weekenders and paragliding enthusiasts find Hotel Ravine to be a very convenient option. Here they get the distinguished honor of rubbing shoulders with paragliding from experts from all over the world. 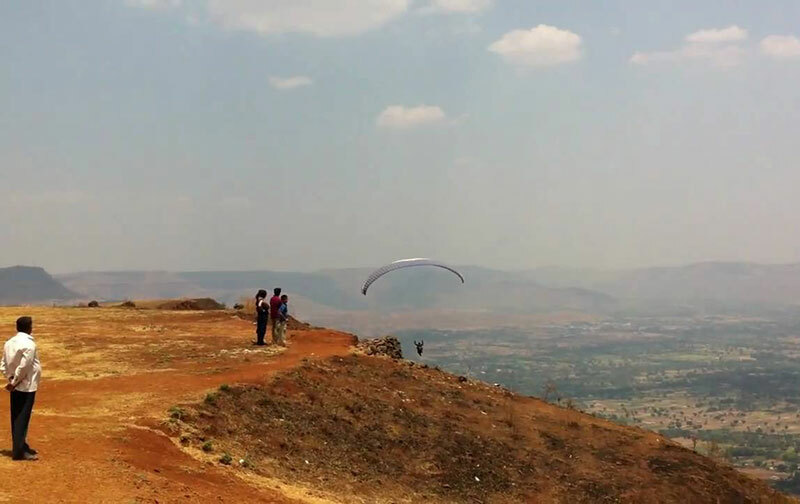 Panchgani and indeed Hotel Ravine is a preferred destination, even to those that enjoy regular paragliding in Pune or Mumbai, simply for the holiday like feel that this experience provides. 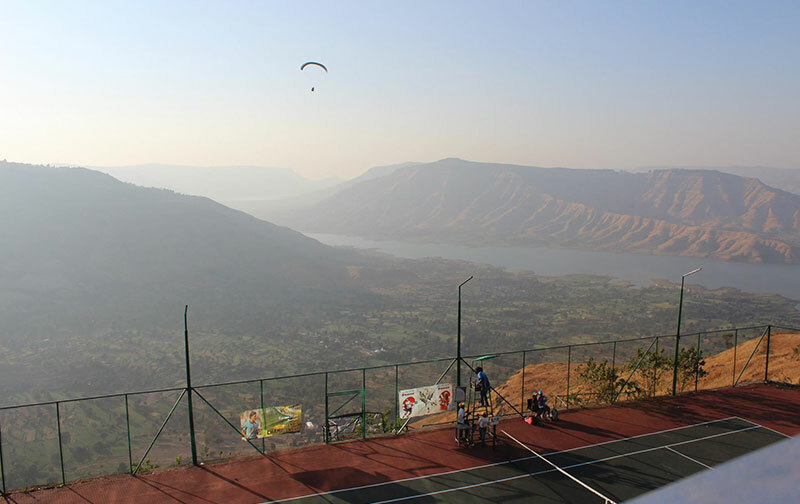 Being situated at an elevation of 4500 ft has blessed the area with a number of amazing sites for paragliding in Mahabaleshwar, Panchgani and their surrounding regions. Avid paragliders can enjoy flying from sunrise to sunset. The local flying caters to all pilot levels. Beginners can easily log in to about 2 hours of flying due to the ridge lift and thermals. XC opportunities abound for the more experienced pilots. Pilots from the USA, India, UK and France have logged cross-country flights of between 50 km to 70 km. The LZs are wide and open, and the terrain is rugged and breathtaking. During the cooler months from November to February, the temperature ranges between 19οC at night to 28οC during the day, and the prevailing winds blow from the East in the morning at Harrison's Folly (only 2 km from the Hotel). The wind changes course towards the West in the evening, blowing from Sydney Point, which is just a short walk from the Ravine Hotel and can even be seen from the hotel windows. Ravine Hotel packages include a pick up and drop off from Mumbai & Pune, which are the nearest cities. We offer drop off and pick up facilities to and from the paragliding sites (which are within 2 KM of the hotel) and complimentary packed lunches for guests that purchase our packages. This gives enthusiasts and opportunity to plan the trip as an adventure at an overnight picnic spot near Mumbai / Pune and enjoy an adventure filled break. For the inexperienced flyers and the non-paragliders, tandem flights with experienced pilots are available for Rs. 1500 onwards. So what are you waiting for, book your flight today, at the Ravine Hotel in India. There is just something about soaring high in the sky and getting a bird's eye view of our world that gets the adrenaline rushing. Maybe that is why the adventure of paragliding is pulling in great crowds in India and abroad. If you are looking to learn how to paraglide, you are on the right webpage. Please Note that you will need to bring your own Paragliding Equipment.